When it comes to the question of “which was better: the book or the movie?” for young adult stories, more than likely, the answer will be “book.” Why is this? For starters, young adult stories, in books and movies, are very similar to the stories told in Japanese manga or anime: it is, basically, the exact same story; it just has different characters, settings, and execution of plotline. In a nutshell, young adult books are incredibly predictable and this predictability is what is shown in the young adult movies, not the extra details told in the prose. Young adults will enjoy these types of movies because they are fans of the books, but older viewers will be searching for a story that is only existent in the books. 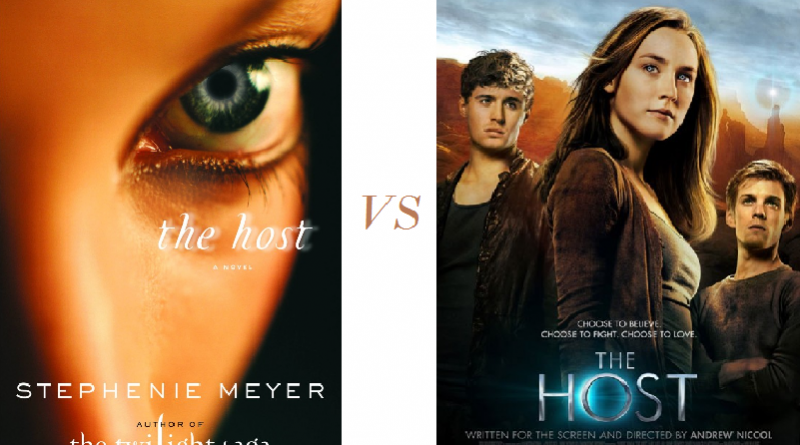 The Host is one such young adult story where the book is much better than the movie. Story wise, many aspects of the book were changed to condense the film to a reasonable run time of two hours that were not entirely changes for the better. The beginning of the movie was not bad, but towards the middle of the movie, the directors really didn’t seem to know where to take the story next. The movie had more of a science fiction feel than the book did with the human bodies the souls took over acting more like robots than people. This may have been meant to resemble a perfect world and the souls took over worlds to make them perfect, but in the book, the souls acted more human than they realized which made the reader sometimes forget that a majority of the human race did not exist anymore. Along with the robot-like souls, the world itself looked futuristic in the movie with the souls owning chrome cars and the Seekers wearing white suits and using advanced technology. In the book, they used many of the same types of technology humans used and wore the same clothes humans wore. When it came to Wanderer and Melanie, the movie did not do either of their characters justice. A minor trait noticed at the very beginning of the movie, Melanie jumps out of a window rather than down an elevator shaft like in the book. When it came to Melanie and Jamie’s parents, the mother, like in the book, is nonexistent, but instead of their father leading the Seekers to his children, he kills himself. Both instances are morbid, but having their father kill himself in front of them is more so than the book’s unintentional betrayal. 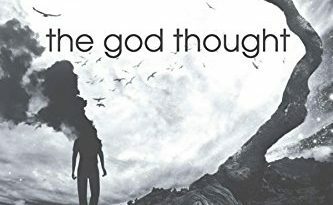 When Wanderer is put into Melanie’s body, Melanie is more in control of her body than Wanderer while, in the book, it was rare when Melanie could take control. Wanderer is also a much more likeable character in the book because she is helpful and will to do anything to protect her new found family while in the movie, Wanderer acts like a whiney brat. A big not-so-good difference between book Wanderer and movie Wanderer is that movie Wanderer does not teach. Wanderer being a teacher plays a huge role in the story with her telling the humans about the planets she lived on and them being more comfortable with her from these stories. Rather than have her teach, the movie decided to have the Seekers guard her and keep her locked in a room like a prisoner rather than just watching her live in a separate apartment with a job as a teacher. This takes away from the introduction to the other planets Wanderer has lived on which takes away from the science fiction aspect of the story. The book did not reference these planets very much, but the movie hardly referenced them at all. Having the Seekers have more of a presence in the movie had both good and not so good effects. While the book focused solely on Wanderer, the movie jumped between Wanderer and the Seeker in charge of her. It was interesting to learn more about the Seekers readers do not discover from the book, but viewers will not become as attached to Wanderer as they may in the book. With the Seekers playing a bigger role in the movie, the movie tries to show more action rather than telling a story. For example, there is a random car chase towards the beginning of the movie between the Seekers and the humans that was not in the story that made the Seekers seem more hostile than they really were. And besides seeing the Seekers and Wanderer and the other humans in the movie, where were the other souls? Stephenie Meyer referenced many different souls within human bodies Wanderer interacted with, but in the movie, these other souls are pretty much nonexistent with maybe one or two souls making a brief appearance in random scenes. The actors are perhaps the worst aspects of the movie to watch for the actors and actresses have hardly any acting skills. They mumble and whisper too much when they should speak up and the background music plays louder then they speak, shielding their voices from the viewers’ ears. Throughout most of the movie, it felt like the actors and actresses were just reading from the scripts they were given or they forgot when they were supposed to be on screen and just seemed to appear on camera most of the time. Each of them did not really portray the unique personalities Meyer gave her characters in the book and everything happened so quickly viewers couldn’t get attached to anyone even if they could act. If one has not read the book and just watches the movie and who really is unfamiliar with the characters, they may be lost as to who is who, for there are really no proper introductions to each of the characters except for Wanderer and Melanie. As far as acting goes, Rachel Roberts, the actress who played Wanderer’s Seeker, did the best job at acting while Saoirse Ronan, the actress who played Wanderer, had moments where she did a great job at acting. One such moment was when she inspects her body when first entering Melanie’s body which reminds viewers that she is not human and discovering a new host for the first time. While the book made the story more of an alien creature wanting to belong somewhere and becoming attached to a race she never thought she would fall in love with, the movie made it a teen romance. Of course there was romance in the book, but it was not a dominant trait. And on top of the fact that the actors and actresses can’t act, they also have no chemistry. Rather than focusing on the poorly executed romance, the movie could have focused more on the characters that played a huge role in the book, but were hardly there in the movie, such as Melanie’s younger brother Jamie (who plays a HUGE role in the book) and the Doctor (who also plays a large role in the book). Instead, the movie chose to place random kissing scenes in the rain between Melanie and Jared. How is this romantic? And how often does it rain in the desert? The one time of year it rains in the desert (which is referred to in the book), the actors are like, “Wait! We must kiss before the rain goes away! 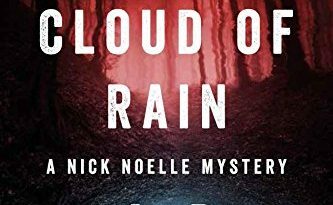 It would be so romantic!” Having these rain-kissing scenes are incredibly young adult and the young adult audience will greatly enjoy those scenes. In the ever constant battle of “which was better: book or movie?”, book wins this battle hands down. 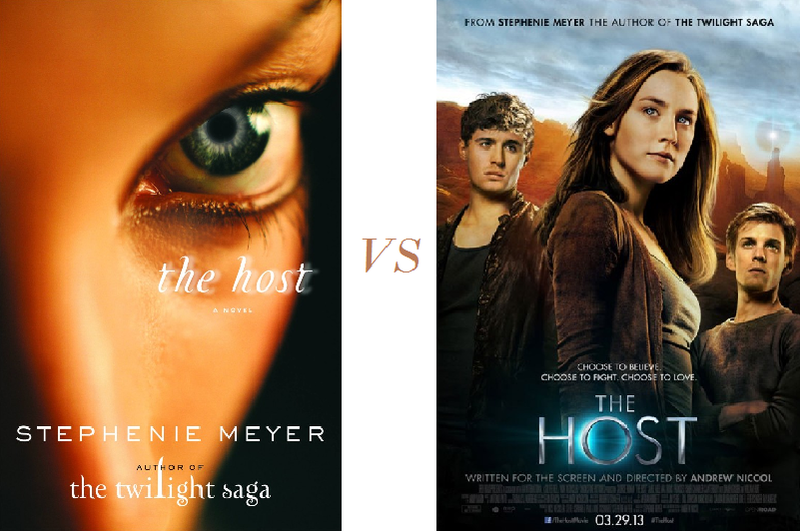 There is too much that happens in Meyer’s The Host that it shouldn’t have been turned into a movie. Too many important elements were omitted due to keeping the movie within a certain allotted amount of time and the script seemed rushed as if the writers put something together with not much time to do so. 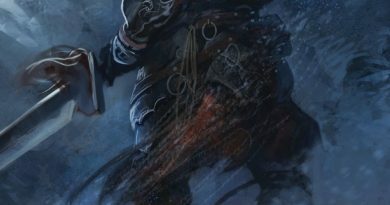 Actors and actresses should have been chosen a bit more carefully and the movie, like the book, should have focused on Wanderer more rather than on both her and her Seeker. The Host movie fell into the young adult storytelling trap: it only housed the elements that would appeal to a young adult crowd rather than giving the story that could also catch the attention of older viewers. The Host is a rather intriguing story for readers both young and old. It just wasn’t given the attention that it was due.